In as much as its research competence and financial contributions to the nation’s developmental efforts are highly recognized, even by its ardent critics, World Bank’s policy recommendations, which are often criticized by the incumbent government as ideologically driven, remain highly contentious. The Bank indeed remains one of the very controversial multilateral institutions in Ethiopia, as it is across the world. 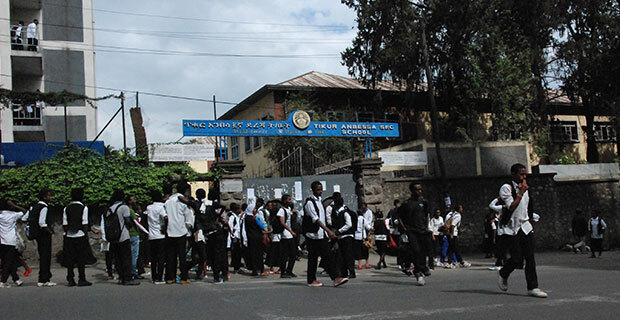 Depending on the person dispatched to Addis Abeba from headquarters on Washington’s 18th Street, country directors of the institution are often seen getting into loggerheads with the government due to their comments on the Ethiopian economic and political sphere, while others leave after having cozy relationship. Guang Z. Chen, a soft-spoken Chinese national who joined the Bank in 1997, have both types as his predecessors. A development economist with over 20 years of experience in development finance and infrastructure management, Chen took his post in 2011. 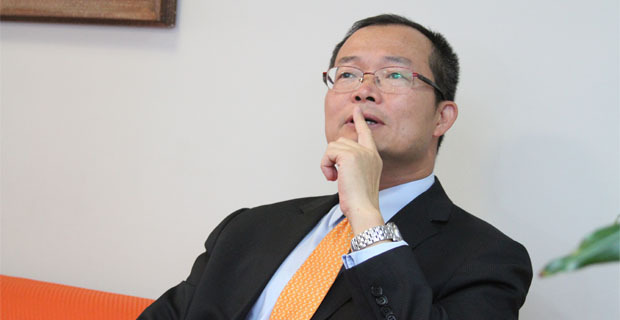 It is under Chen’s leadership that the Bank managed to release its popular economic updates, a relatively new series of policy analysis documents, with the latest one focusing on Ethiopia’s exports, whose performance turned out to be a disappointment to the EPRDF-led government. In this exclusive interview with TAMRAT G. GIORGIS, MANAGING EDITOR, Chen has recommendations on how to turn the tide. In as much as its research competence and financial contributions to the nation’s developmental efforts are highly recognized, even by its ardent critics, World Bank’s policy recommendations, which are often criticized by the incumbent government as ideologically driven, remain highly contentious. The Bank indeed remains one of the very controversial multilateral institutions in Ethiopia, as it is across the world. Depending on the person dispatched to Addis Abeba from headquarters on Washington’s 18th Street, country directors of the institution are often seen getting into loggerheads with the government due to their comments on the Ethiopian economic and political sphere, while others leave after having cozy relationship. Guang Z. Chen, a soft-spoken Chinese national who joined the Bank in 1997, have both types as his predecessors. A development economist with over 20 years of experience in development finance and infrastructure management, Chen took his post in 2011. 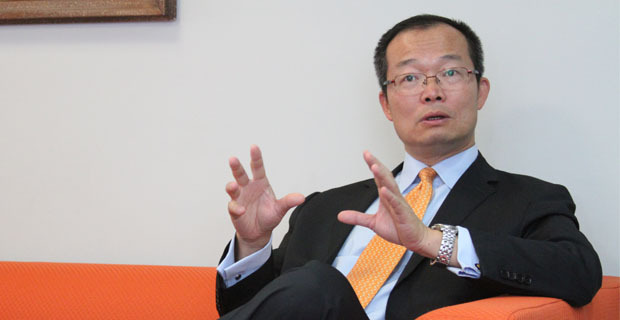 It is under Chen’s leadership that the Bank managed to release its popular economic updates, a relatively new series of policy analysis documents, with the latest one focusing on Ethiopia’s exports, whose performance turned out to be a disappointment to the EPRDF-led government. In this exclusive interview with TAMRAT G. GIORGIS, MANAGING EDITOR, Chen has recommendations on how to turn the tide. Fortune: The World Bank acknowledges Ethiopia’s rather unusual and subsequent growth over the last decade and yet there is a feeling within that this growth is not going to remain sustainable. I am wondering where the fundamentals could go wrong? Guang Z. Chen: I would turn it around. We obviously want this growth to be sustainable. There are a number of things that should happen first. The fact is that growth is happening in Africa in general. Ethiopia is obviously on the faster of part of that. But there is an issue of structural transformation, which basically involves moving labour from low productivity to higher productivity areas. In particular, industrialisation is moving very slow, including in Ethiopia. 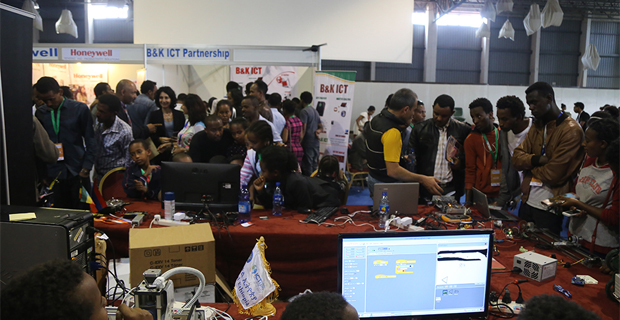 Ethiopia has a competitive advantage for attracting light manufacturing. But it is not just Ethiopia; Zambia, Tanzania and others do have such an advantage. This is happening gradually, but it is not on any big scale; not in a surge that I can see. 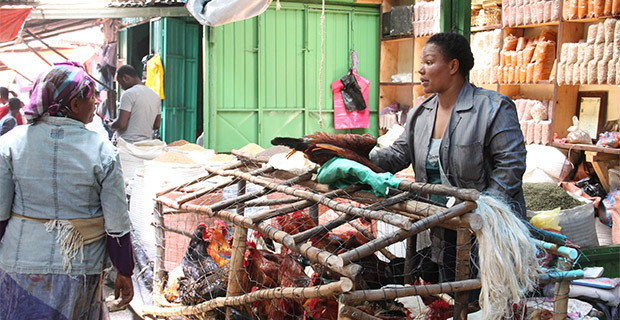 The structure of the gross domestic product (GDP) of the last 10 years has seen a shift in Ethiopia, from agriculture to services, rather than to industry. This is certainly one area that is of concern to us. And I think the same thing is a concern to the government. The government is doing a lot on industry zones. There is also the recent amendment in the investment law. This is all being done to promote industries, but you have to make it happen. Q: Do you feel like the country and the economy is static? No, I would not call it static. I think it is still growing, but industrial growth has to be accelerated. And the export performance has to improve; it has to be much more sophisticated. You have to expand the range of your export basis and also you have to be in much more value-added sectors, rather than competing on prices. This is the basics in getting into the export basket and much more sophisticated to be competent. Q: In another report, you released in May 2014, you highlighted that Ethiopia’s rating in Doing Business has declined because of a few factors, such as investor protection, property registration, access to finance and general competitiveness. Apparently, the Prime Minister is not pleased with that rating. I heard a lot of that. In fact, it was reported on CNBC. In the Doing Business report, over 180 countries were compared. Yes, what was said was true on the overall rankings. But I think we need to break it down into different categories. Ethiopia does better than others on the enforcement of contracts, ease of obtaining a business license and getting electricity. But, there are areas that the rankings are lower than others. Access to finance is certainly one indicator where I know there has been some controversy. The central bank governor was saying that there is plenty of credit in the market, but according to the various surveys that we conducted – not only us, but also the European Union and others – certain segments of businesses are having difficulty in accessing credit, particularly what we call the missing middles – meaning the small and medium size enterprises. This is what we see as a constraint, but I think what is important is that Doing Business indicators have a range of factors. 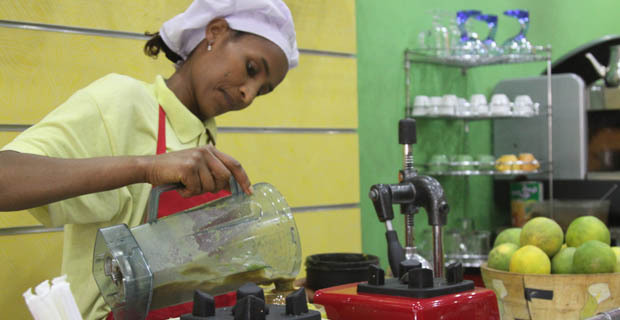 Now, for a low income country, a country in its early phase of development, like Ethiopia, it is not realistic to expect to tackle all these ranges of things at the same time. Most important is that you have to compete with others; so you have to see what your peers are doing. Q: The manufacturing sector has not grown as much as it was supposed to because, according to the private sector, there is no or little finance. 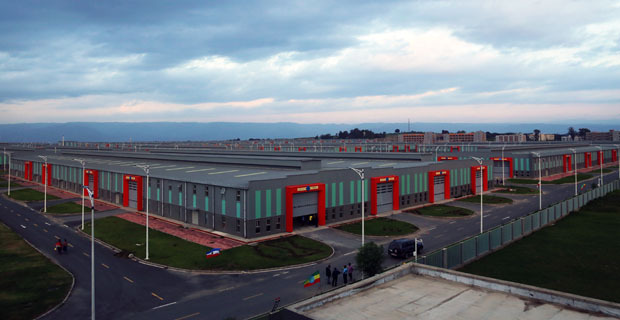 The government completely rejects that; the Prime Minister told businesses last month that out of the 22 billion Br that the Development Bank of Ethiopia (DBE) provided to businesses last year, 20 billion Br went to the private sector. If that is what the facts tell us, why is the complaint coming again and again from the private sector and multilateral organisations that the private sector is being crowded? Actually, if you are purely looking at attracting foreign investment in light manufacturing, I do not necessarily see access to finance as the most critical concern. 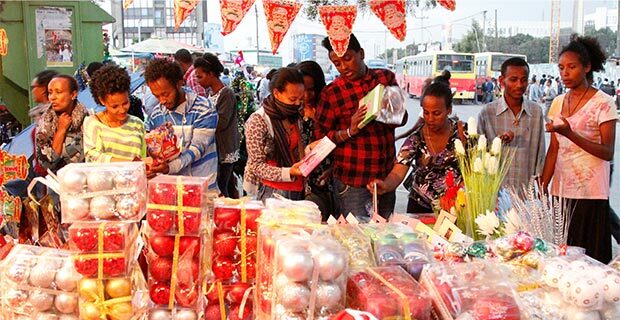 Because most of the foreign direct investments (FDI) coming to Ethiopia do not mobilise the financing from Ethiopia. They bring the finance from abroad. What is the most critical concern that I have seen, based on surveys that we conducted, including the Chinese FDI survey that we did two years ago, is logistics – getting things in and out of Ethiopia. Second is taxations; it is not that the tax rate is high, but it is about the interpretation and enforcement of tax laws, and variations of the interpretations. 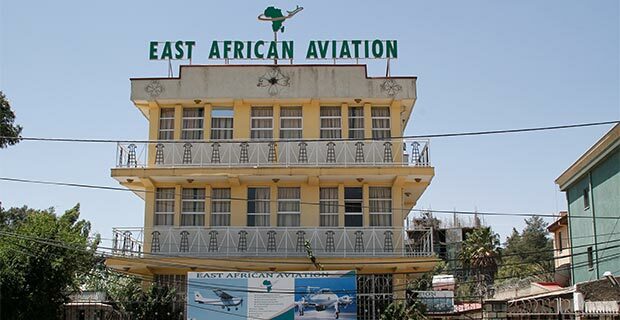 I was talking to the Chinese Ambassador the other day, and he said that one of the major complaints from the Chinese businesses operating here is that they spend so much time at the Ethiopian Revenues & Customs Authority (ERCA) trying to explain what the tax compliance status is. Things of that nature are critical too. 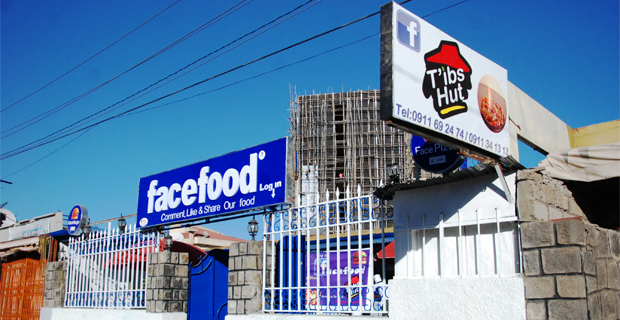 Q: Do you have the sense, beyond rhetoric, that the Ethiopian private sector is in the driving seat of the economy? It is not yet. I think they have a better role to play and they should. I think the government recognises that and is open to advocate that it wants private businesses to grow. But what you have to recognize is the fact that private sector development in Ethiopia has a short history. And it is going to take some time to grow. Q: It is often said that the GDP is growing by 10pc. There was a statement from multilateral organisations, including yours and the International Monetary Fund (IMF), that some of the growth sources the government adds on to the GDP growth are not explainable. I would not say it is unexplainable. In the Second Economic Update we published last year, we actually did a very detailed account of this growth. We highlighted things from the demand side and from the supply side. 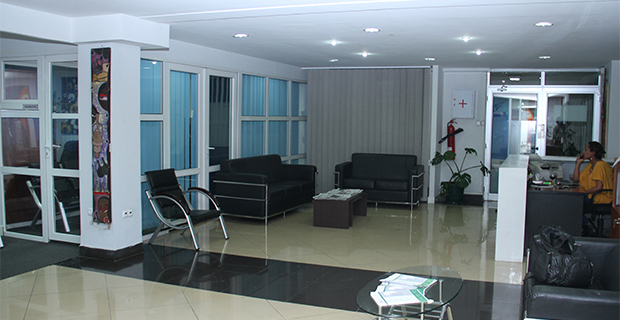 Supplies are in terms of different sectors and demands are in terms of consumption and investment. We did a detailed account. What we are saying is that there is a public investment; and public consumption was the main source from the demand side accounting for the growth. Particularly, public investment is at a record high. I would not say that this is unaccountable, it is accountable. Q: Can I take that you are quite comfortable with the statistics that comes out of the government? I would not have a major basis to doubt those statistics. Q: In light of the actual performance in the just ended fiscal year, export revenues are down. Your report says that the government needs to work towards enhancing the nation’s competitiveness. There are a couple of approaches; one is that you devalue the currency so that exporters become more competitive. 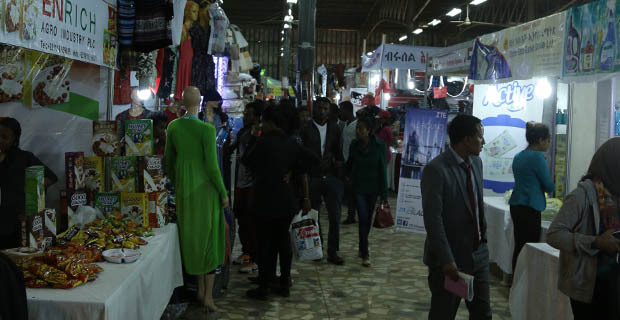 But there is another approach, since Ethiopia’s exports are entirely dependent on inputs that are imported from outside – reduce tariffs and adjust the tariff rate. Which approach do you find to be more practical? In our report, we look at a range of areas. In fact, we made seven recommendations in seven areas. It is the combination of all these areas that can bring improvement. When you conduct economic policies, it cannot be one policy that solves all these problems. For example, we mentioned that the country needs to have a more competitive exchange rate. It does not mean that the government should devalue the currency tomorrow, because devaluing the currency has other major implications. This country, as I mentioned earlier, is still on a very high growth path in terms of public investment. And a larger part of that depends on imported capital goods. But, devaluing the currency also increases the cost of those capital goods. That has to really take into account other factors. In fact, I took note of the fact that, in the last two days, much of the reporting was picking on that particular issue and saying that the World Bank advocates devaluing currency. We are not saying that. No. We are saying that one has to look at the exchange rate carefully. It is one of the tools the government can use. But it is not the only tool. And also when the government decides to devalue the currency, it has to look into other macroeconomic factors. Because, when you intend to achieve one objective, you may undermine others. They have to weigh on other things. In any case, the currency has been gradually depreciating. Q: Very gradual – five percent a year? I know. But, this is one part of the solution, but it is not the only one. Q: Speaking on the devaluation issue, your economist here in Addis Abeba made a statement last week that the currency is overvalued by 31pc. Earlier, about six months ago, the IMF said Birr is overvalued against a basket of major currencies by half that amount. Which estimate is the most realistic? What we said in the report is based on a simulation exercise we conducted. Yes, it is estimated that it is 31pc overvalued. That does not mean that the government should devalue the exchange rate by 31pc. Q: You mean that the IMF had it wrong to claim that Birr is overvalued by 10pc to 15pc? It could be that they can work in that range. But we did not advocate that the government should devalue the currency by 31pc. It is a simulation exercise. We were saying that if you do a regression analysis by devaluating the currency by 10pc, it may lead to exports increasing by five percent. But that is a regression analysis, assuming everything being in equal, but of course in real life not everything is equal. It is an empirical sort of estimation. It shows the range one can work on, but that does not mean you should do it, by the way. Q: Are you not concerned with the debt sustainability in the country? The Prime Minister seems to be quite comfortable with it so long as the debt sustainability ratio is alright. But, there are macroeconomists claiming that when you actually put everything into consideration, the country is getting closer to an unsustainable situation. It is a concern that we have shared with the authorities, because the sort of ambitious investment program the country is undertaking requires a lot of what we call non-concessional loans. For example, the railways, the transmission lines and telecoms. One has to look at it from several angles. One is to ensure that this borrowing remains productive. It could build the country’s growth potential in the future. And secondly, of course, you have to be sustainable in a sense. This means the country has to be able to export to earn foreign exchange to pay back these loans. The debt also has to be sustained by the economic activity of the country. We also have to look at the terms of these loans, the ratio to GDP and the level of debt distress. Taking this into consideration, there is an increase in debt distress. But it is not at an alarming level today. But it may be in 10 years, when you have a debt to GDP ratio of 100pc. Q: Not even when you include the borrowing by state enterprises, like Ethiopian Airlines, the power company and telecom? The government seems to exclude these in claiming that they are entirely commercial entities. But, at the end of the day, it is the nation that is indebted to pay these loans. No. In fact, in our analysis, we exclude certain non-concessional borrowing from what we call fiscal coverage. If the entity is really operating from the commercial principle, it is self-financing. I do believe, for example, that Ethiopian Airlines is one example of this. But the problem is with the power company, which we do not necessarily agree with. But we do have that discussion ongoing. In our calculations, we do include those debts as part of the fiscal coverage. At the same time, one has to recognise that for Ethiopia to continue to grow and to realise its ambitions, concessional financing is never going to be enough. There is a limit on how much concessional loans it can obtain. In fact, Ethiopia is doing well in that and maximises whatever concessional borrowing they can obtain from us. 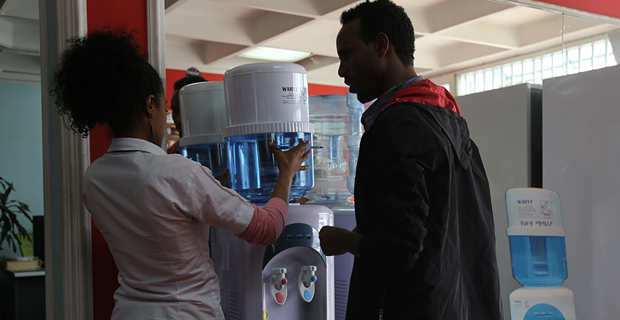 Last year, we provided Ethiopia 1.6 billion dollars, which is the highest amount in terms of concessional financing. But, that is not enough to sustain this large economy. The government has to be very careful about the terms of these non-concessional loans, however, and also the productive nature of this investment that will be forthcoming. Q: But do you have the sense that they listen to you? We certainly feel that we have this value of engaging. I feel that we have some influence on that. But, ultimately, it is for the government to make its decisions. We already have a set of institutional mandates, to monitor and advise the government. Q: Lately, the World Bank has lost its leverage in influencing the policies of the Ethiopian government. Despite the fact that you have provided record high financing, and Ethiopia became one of your largest portfolio, you do not seem to have much of an influence on the thinking and decision making of the Ethiopian government. I would not necessarily agree with that. 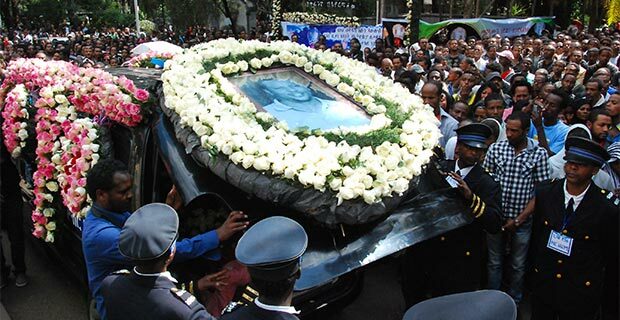 In a country like Ethiopia, it is always the government that makes policies. We have an influence, but I do not necessarily say that because we recommend “A” the government takes that “A”. It is a one-to-one relationship. We make recommendations in a number of areas and I believe that the government listens to it and some of them they adopt. On certain policies, they may not be influenced by us. I do not necessarily have to take comfort in saying that because the World Bank recommends policy “A”, the government announces policy “A”. I feel that we are comfortable with that. Q: Could it perhaps be because your style of approach to the government is more diplomatic and appeasing, rather than speaking truth to power, as your predecessors used to do? It is not about styles. I would not call it appeasement. In the report, we have just published, for example, we do advocate a certain number of policies and some of the value assessments may not be entirely agreeable to the government. We do not put all of that to be done. Even if I am confrontational, it might not have necessarily changed that fact. Q: Considering the way things are run now, how would you project Ethiopia’s economic landscape five years down the line. If I were an investor coming to you and would like to have a sense of where things are going to be in five years, what would be your advice to me? I will say yes, please do come, but at the same time do try to understand what the market situation is here. Look and understand what the constraints are, and consider where you should put an investment. Of course, if you want to invest in this country, you want to make money. But, do not try to think that you can make quick money. Investing in this market, you have to look at least for the medium-term. I do see a huge potential in this economy; it is coming from a low base and there is a large market potential. Q: You are from China, a country that the Ethiopian authorities always look at to emulate the growth model. Do you think they are right to do that? I think every country has to select their own sort of development path. I do say that, yes, they are close to China and the development model of China. But it is not the only place. I remember my conversation with the late Prime Minister; he was actually quite interested in the Korean model, for example. It is not just China. China is very big. Of course, there are certain things they can look at for reference from China, and see how to manage, for example, the politics and economy together. There are certain things they can emulate, but this is not everything. In fact, very recently, the Chinese Prime Minister, during his visit to Ethiopia, sent a message saying – “If you want to look at the Chinese examples, don’t take everything from us”. We made mistakes in the past. Q: What is it that you advise Ethiopian authorities not to repeat? There is heavy cost that China incurred in the first 20 years of its growth, in terms of the environment. It was a very heavy cost. I do not think Ethiopia should follow that. Ethiopia is still at a very low base of urbanisation. And there are a lot of problems that Chinese urbanization has caused again in the first 20 years. You have to be very careful not to follow that path. The Chinese are now spending money in a bid to correct the shortcomings in their early phases of economic growth.